The Dark Phoenix saga is one of the most beloved stories in the X-Men comics universe, but it was botched during its previous screen incarnation in Brett Ratner’s: X-Men: The One That Nobody Likes To Talk About. Luckily, with the ongoing reboot series that features younger versions of the mutants we love, they have a chance to do it all over again, and perhaps finally give this story the treatment it deserves. So far, they seem to be focusing heavily on Sophie Turner’s Jean Grey, which is already a promising start, and the trailer seems to hint at heavy drama coming for James McAvoy, Jennifer Lawrence, Michael Fassbender and co, which should hopefully make it the most poignant X-Men movie to date. DreamWorks Animation’s most acclaimed film series returns for the third and final entry, intended to formally end the story of young Viking Hiccup and his pet dragon Toothless, and to be honest we’re all probably not ready for all the emotions we’re destined to feel during this one. The trailer already contains some gorgeous animation, a hauntingly beautiful score, and also the sweet and funny relationship between man and dragon, but this one hints at the duo’s greatest journey yet, which looks to be the most emotional that this series, and probably DreamWorks Animation as a whole, has ever done. If you thought that Disney was going overboard already with its live-action remakes of its animated classics, then brace yourselves because 2019 will break you. First, there’s Tim Burton’s new take on Dumbo which, out of all the ones coming out this year, seems to be the only remake that’s doing something different with the source material. With Burton, you can expect this to at the very least be a visual treat – and with Michael Keaton as part of the cast, at least one entertaining performance – but already it appears to be setting itself apart from the animated original with a brand-new story and a slightly new direction – but don’t count out an appearance by the Pink Elephants (though hopefully with less booze involved). Next up, Guy Ritchie gives us his version of Aladdin, which is hard to pre-judge given that all we’ve seen so far is a short teaser, but it’s hard to tell if this is going to be one that’s primarily going to stick to the same script as the original, or go off in its own direction with the classic tale. Either way, it’s already shaping up to be a way better Guy Ritchie movie than King Arthur: Legend of the Sword, and with Will Smith on board as the Genie, you can bet that there’s plenty of fun to be had with this one (though nobody can ever replace Robin Williams’ untouchable take on the character). Finally, Jon Favreau returns to live-action Disney remake territory with an all-new rendition of The Lion King… though one hesitates to call this live-action, as the entire cast is CGI and, if one isn’t mistaken, so is the African backdrop (it could be real, but seeing how real everything looked in Favreau’s The Jungle Book, anything is possible). Regardless, it will be fun seeing how these classic characters and songs fare in a more realistic environment, though it’s almost guaranteed that this is the one to bring the biggest wrath of all the naysayers to every one of these live-action remakes. When Gareth Edwards brought back the legendary Godzilla to cinemas, audiences were split; on the one hand, the giant monster was awesome every time he showed up on screen, but on the other hand he wasn’t on-screen for very long, and we were left with a bunch of uninteresting human characters instead. For the sequel, with Michael Dougherty now directing and co-writing, they seem to have doubled-down on the monster carnage as something of an apology, with not just Godzilla but other classics like Mothra, Rodan and King Ghidorah all duking it out amidst all the destruction left in their path. It promises to be a monster movie epic unlike any other, with real-life consequences added to the mix as well as human characters who are hopefully more interesting this time around, and don’t take up more time on-screen than Godzilla does. DC hopes to continue their recent efforts to make their cinematic universe more light-hearted and fun, with a film that looks to embody both those things with every kid’s biggest fantasy: what if they suddenly became a superhero? That’s what’s driving this kid-friendly take on Shazam!, which sees Zachary Levi taking on the role whenever young Billy Batson utters the titular magic word and transforms into the godlike superhero, but what makes this even more promising is how almost immediately the trailer dismisses any indication of unnecessary darkness and goes straight into comedic territory, which is pretty much the only way you could make this story work. Pennywise is back for more blood in this eagerly-awaited adaptation of the second half of Stephen King’s classic book It, and this looks like it will be a horror movie that’s actually worth the wait. 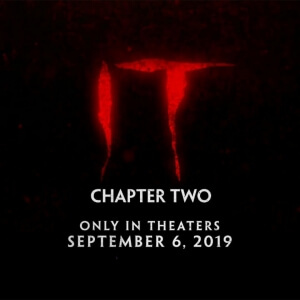 Taking place nearly thirty years after the events of the first film – which only covered the novel’s first half, when the main characters were children – the Losers’ Club returns to that frightful town of Derry, Maine to kill off that evil demon clown once and for all – but not without a strong amount of scares that hope to outdo even the effective ones that the previous movie did, which returning director Andy Muschietti will do his best to follow up with something equally entertaining. It’s also got a stellar cast of actors playing the adult versions of these characters (but don’t worry, the young actors will return in flashback sequences), including James McAvoy as stuttering leader Bill, Jessica Chastain as the group’s troubled solo female Beverly, and Bill Hader who’s perfectly cast as the adult version of Finn Wolfhard’s jokester Richie, making it quite possibly one of the most star-studded ensemble casts for a mainstream horror movie in recent years. For the first time ever, the world of Pokémon is brought to life with the blending of live-action with state-of-the-art CGI effects. However, upon hearing that the very first film to be made about the popular worldwide phenomenon was to be based on Detective Pikachu – a spin-off game featuring a talking version of everyone’s favourite electric mouse – most fans immediately became sceptical about how, if at all, it would actually work. Turns out, at least according to the first trailer, that it’s an ingenious idea, especially when you have Ryan Reynolds providing the voice of Pikachu, and if the actor’s charm and reliable snark wasn’t enough, the film itself looks as though it will be a great deal of fun for children, as well as adults still nostalgic for the late-90s craze, which already makes it a potential huge hit in the making. Also noteworthy is how, again just going off the trailer alone, every single Pokémon seems to bear an uncanny resemblance to how they looked in the cartoon, with not just Pikachu but others like Charmander, Jigglypuff, Charizard and even Mr. Mime looking exactly how we remember them, albeit with realistic-looking effects that place them amongst the live-action performers. That alone is kind of awesome, because they could have so easily botched their unique designs in the transition to live-action, but they have thankfully retained them to a point to where it’s eerie how similar they look to the original cartoon. Phil Lord and Chris Miller surprised everyone with their 2014 animated comedy based on the long-running LEGO toy line, injecting their irreverent sense of humour and kinetic stylings into a story filled with heart and passion, making it one of the best movies of any kind from that year. Five years later, the first direct sequel finally arrives, and although Lord and Miller aren’t directing this one – those duties fall to Trolls director Mike Mitchell – they still provide the screenplay which at the very least means there will be the same hilarious meta comedy we’ve come to love with these films. Luckily, it also looks to be just as colourful, full of life, and bright optimism that most other animated films based on toy lines have yet to master (don’t be so shocked if other movies of this type this year, specifically UglyDolls and Playmobil: The Movie, don’t quite reach the heights that this one will probably reach). This one sees all of our favourite characters from Chris Pratt’s Emmett to Will Arnett’s Batman to Alison Brie’s Unikitty and so on go on a new mission that explores even more of the LEGO universe than the first one even hinted at, with fun new characters such as a Tiffany Haddish-voiced shape-shifting alien brilliantly named Queen Watevra Wa-Nabi, and a hilarious riff on Pratt’s movie star persona that jabs at his roles in Guardians of the Galaxy and Jurassic World. Quentin Tarantino is set to bring us his ninth film next year, and it’s set to be quite possibly his biggest film to date. 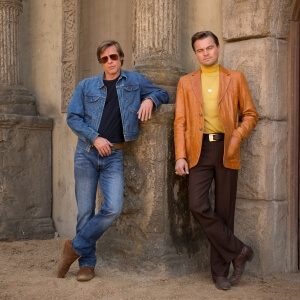 That is, if you take into consideration the cast he’s assembled for this one, which includes Hollywood heavyweights such as Leonardo DiCaprio, Brad Pitt, Margot Robbie, Al Pacino and Dakota Fanning, as well as esteemed character actors like Damien Lewis, Scoot McNairy, Tim Roth, Michael Madsen, and Bruce Dern (the latter of whom fills in for the late Burt Reynolds, who passed away before he could film his scenes). There’s only one Marvel movie this year that most if not everyone will be wanting to talk about… but before we get to that one, let’s preview the other two that are coming out in 2019. Before the Avengers unveil their endgame against Thanos, we will be transported back to the 90s, when Brie Larson’s Carol Danvers returns to Earth after a period away in the cosmos, and uses her extremely powerful abilities to fend off an invasion by the shape-shifting Skrulls. It’s Marvel’s first film with a female lead, and given that it’s introducing us to one of the most powerful heroes in this universe – she’s basically Marvel’s answer to Superman – it’s one hell of a barrier to break, and we can’t wait to see what she can bring to the oncoming final clash with Thanos. It is after that OTHER Marvel movie, however, that the next one takes place. 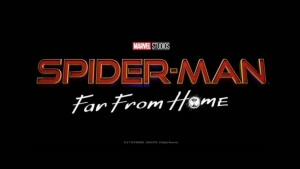 Even though he was last seen fading into dust thanks to Thanos’ deadly snap, Tom Holland’s Peter Parker/Spider-Man is back for another adventure that sees him coping with the consequences of whatever ends up happening in Avengers: Endgame. He will also be travelling the globe, fighting Jake Gyllenhaal’s evil Mysterio, and kicking off Marvel’s Phase 4 line of films whilst also serving as a (presumably) sobering epilogue to the massive event movie they’re heavily building up right now. We all knew that whatever Jordan Peele was going to follow up his insta-classic Get Out with, it was going to be some level of bonkers – but the first trailer promises something far scarier than we could have ever imagined. Peele once again directs and writes, as well as co-produce with Blumhouse extraordinaire Jason Blum, and if that wasn’t enough to get you excited then the largely diverse cast, including Black Panther co-stars Lupita Nyong’o and Winston Duke in leading roles while the likes of Elisabeth Moss, Tim Heidecker and Duke “grandson of Jack” Nicholson show up in weighty supporting roles, should seal the deal. But the biggest star quality comes from the amount of sheer frights that this movie promises to bring; tackling far different issues than Get Out did, this one plays with the idea of creepy doppelgangers that know your every move, but even scarier is how they resemble the very worst part of ourselves in every way possible. Disney’s 2013 animated musical Frozen has become such a cultural phenomenon that whenever most people hear the first few bars of “Let It Go”, they immediately curl up with dread. But even those people will have to admit that they’re at the very least curious to see how the story of Elsa, Anna and co continues. Yes, all of the beloved characters – even that film-stealing snowman Olaf – are all back for a brand-new adventure, which not only sees original voice actors Idina Menzel, Kristen Bell, Josh Gad et al return – alongside new characters voiced by Evan Rachel Wood and Sterling K. Brown – but also has original directors Chris Buck and Jennifer Lee also coming back, with Lee once again providing the screenplay. And yes, you can expect song-writing duo Kristen Anderson-Lopez and Robert Lopez to pen some brand-new medleys that you’ll be humming along to as much as “Do You Want To Build A Snowman?” and, of course, the power ballad that is “Let It Go” (which you can sing along to in all its glory with the video above). Although some will argue that the series should have ended with the third movie back in 2010, and they might well be right, let’s just take a moment to realise that we’re getting yet another adventure with Woody, Buzz and the whole gang (formerly) of Andy’s room. All your favourite playthings are back, as are their respective voice actors including Tom Hanks and Tim Allen – although it’s unknown who will be playing Mr. Potato Head, as original voice Don Rickles sadly passed away before he could record any of his lines – and we will also be introduced to several new characters, including Keegan-Michael Key and Jordan Peele as a couple of fairground toys, Keanu Reeves in an as-yet undisclosed role, and Tony Hale as “Forky” whose very existence as an inanimate object suddenly come to life as a toy offers some of the biggest existential crises that the series has ever offered. They’re all bound to join the ranks of the extremely fun and memorable characters seen already in these movies, and we can’t wait to see what they bring to this surefire hit. But what most people will be looking out for it how it will one-up the ending to Toy Story 3, which is already considered by many to be an emotional high-point of the series. Apparently, both Hanks and Allen have commented on how they struggled to make it through the very last scene, which according to Hanks is “a moment in history”. That alone should indicate that you should go into this movie with an entire box of tissues just in case, because if this one is going to be as emotional as they say then you’ll more than likely be using the whole box. The final instalment of the Skywalker saga is less than a year away, but while we won’t see how the threads introduced in The Force Awakens and The Last Jedi are resolved until Christmas, there’s a whole year to get excited about how they’re going to pull all of it off. J.J. Abrams is back in the director’s chair, and co-writes with Argo’s Chris Terrio, for the last Star Wars film to follow the story of Rey, Finn, Poe and Kylo Ren before things are more or less wrapped up, in a story that is rumoured to be taking place one year on from how things were left in The Last Jedi. Will the Resistance finally take down the First Order? Is Kylo Ren’s transition to the Dark Side of the Force truly complete? And will Star Wars fans actually chill out when it comes to talking about this movie online? Only time will tell, but we know for a fact that it’s shaping up to be the most action-paced entry into this particular trilogy yet, especially with new creatures and worlds waiting to be discovered. It will also be an emotional experience, as not only will it feature returning cast members such as Mark Hamill and Billy Dee Williams reprising their roles as Luke Skywalker and Lando Calrissian, but will feature a satisfying conclusion for Carrie Fisher’s Leia thanks to the use of unseen footage from both previous movies that featured the late actress, which has helped to form a conclusive arc for the character without having to rely too heavily on visual effects. “Part of the journey is the end,” as Tony Stark so glumly proclaims in the eerie first trailer for what is easily the most anticipated movie of the year. He has every right to be so solemn; he and half of the universe have just lost a great deal of people in the fight against Thanos, which saw the villain successfully eradicate half of all life. The end of Avengers: Infinity War saw the likes of Black Panther, Spider-Man, Doctor Strange and all but one of the Guardians of the Galaxy turn to dust after Thanos’ deadly snap, and even before then characters including Loki, Gamora and Vision all met their grisly fate at the feet of that evil purple titan. Needless to say, all the surviving heroes from Stark to Captain America to Thor to Bruce Banner to a previously-unseen Hawkeye (now seeming to sport a samurai get-up in the trailer) are feeling more than a little glum about their failure to stop Thanos from conducting his master plan. But, as the trailer heavily hints towards, there might just be a glimmer of hope within the darkness. The arrival of Ant-Man – who seems to have somehow found his way out of the Quantum Realm following the end of Ant-Man and the Wasp – indicates that there may indeed be a way to bring all the fallen heroes back, a theory that several leaked set photos also seem to confirm, suggesting a possible time-travelling plot that takes the heroes back to the big New York battle from the first Avengers movie and to other points in the Marvel timeline. There’s also the inclusion of Captain Marvel, who Nick Fury attempted to contact before turning to dust himself in the Infinity War post-credit scene, and whose powers will have been put on full display once this film finally comes out, but you can already count on Carol Danvers playing a huge part in the forthcoming final showdown with Thanos. It’s going to be one hell of a superhero brawl, one that will determine the future of the Marvel Cinematic Universe once and for all, but be prepared for the fact that some of your favourite (surviving) heroes might not make it out in one piece. With this film, both Robert Downey Jr. and Chris Evans’ contracts finally expire, and with Evans’ tweets following completion of filming for his role as Captain America, there’s fear that Cap might be one of the few major heroes to meet his maker, and the sheer lack of Downey Jr.’s comments on finishing also hint at either his own demise or how he’s playing the secrecy game better than anyone in the cast.